Can you help? | Links to other places of interest. in the middle of the nineteenth century. 1. 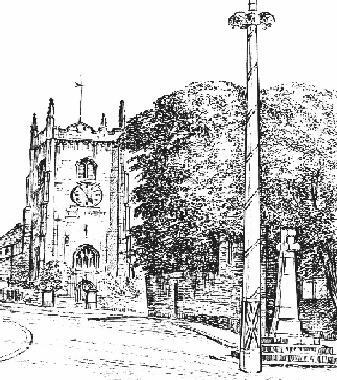 The Society was established in September 1984.
the history of the parish from the earliest to recent times. This includes recording contemporary events for future generations. 3. Currently there is a membership of over 60 and in addition there is a list of both UK and overseas subscribers to the Society's regular publication The Barwicker. The Editor of The Barwicker is Pauline Robson. Check the research section to see if one of the topics in which you are interested is specifically covered by an individual in, or known by, the society. Recently, we have developed a group of individuals who have a specific family history interest in some of the families who have lived in the parish. The parish of Barwick-in-Elmet originally covered the area from just to the east of the village westwards to Scholes and Roundhay (which is now a suburb of Leeds). It also covered a number of outlying hamlets from Terry Lug (part of the Bramham House Estate), Potterton, Kiddal and Woodhouse in the north to Barnbow and Manston in the south-west. 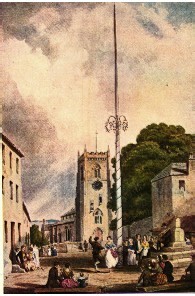 The church and the maypole in the village centre as it is today. The society's interests cover the whole of the original parish. Today, the parish is much smaller and covers the villages of Barwick-in-Elmet and Scholes along with the hamlet of Potterton and Kiddal and Barnbow Carr. The land in the south-west of the old parish and Roundhay has been absorbed into the built-up city of Leeds. It has a long history which starts with a recently discovered Bronze Age settlement about a mile to the south of the village. In the parish and just over the parish boundary there are a number of very large earthworks (still visible today) most of which have recently been the subject of archaeological examination during the course of the construction of the northward extension of the M1 motorway which has recently opened and passes through the south of the parish. Early indications of the examination of the earthworks are that they are from about 100 A.D. and act as a defence from attack from the south. If this is so the current published accounts of the early history of the parish will have to be revised. 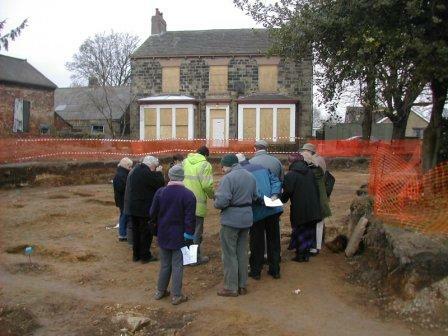 Currently, the earthworks in the centre of the village of Barwick-in-Elmet are dated as being from about 600 B.C. An item of unusual interest in Parlington Park which borders the parish is the only monument in the United Kingdom (see the picture) which celebrates Britain's defeat in the American War of Independence. The memorial was erected by Sir Thomas Gascoigne, the Lord of the Manor of Barwick-in-Elmet, to show his approval of someone getting the better of George III. It is more or less a copy of the Arch of Titus at Rome. "Liberty in N.America Triumphant MDCCLXXXIII". Photo. with permission of Finlay Payne of Victoria B.C. "It is said that George IV in the days when he was Prince Regent, was passing through this part of Yorkshire and was to lunch at Parlington. 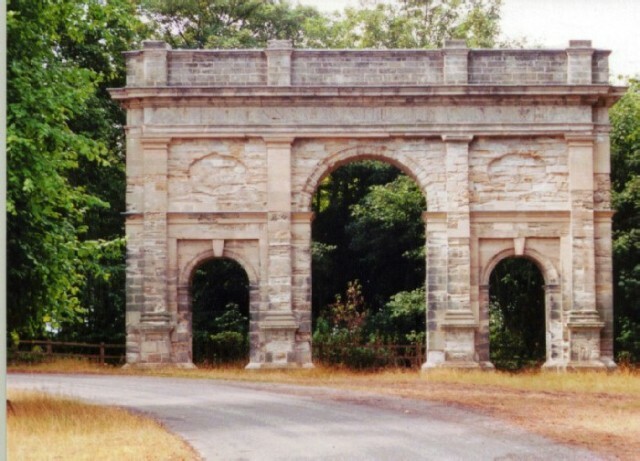 On coming to the arch, under which he would have to pass, and being informed of its purpose he declared he would not enter the house of a man who could thus perpetuate the memory of England's defeats, and immediately turned back." The Society usually meets in the John Rylie Centre, Barwick-in-Elmet every month from September until April on the 1st and 3rd Wednesday (unless this falls close to a public holiday). The meetings start at 7.30 p.m. On the first Wednesday normally consists of a presentation on a specific topic of local content by a guest speaker or a society member. The meetings on the third Wednesday are of a less formal nature covering a wide range of topics. 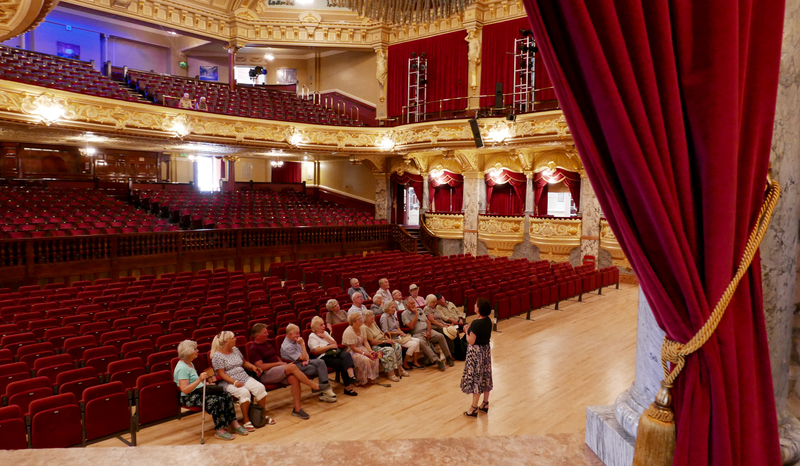 The summer programme consists of outings once a month to places of historic interest, usually in the vicinity. To be announced, July . To be announced, August .